After a HUGE deal went down to sent DeMarcus Cousins to the Pelicans, the anticipated buy-out of Tyreke Evans could alert the Cleveland Cavaliers. Last night at about 11:45 when many Eastern Time folk had already went to bed, the biggest trade of the season dropped. Buddy Hield, multiple picks, Tyreke Evans, Langston Galloway were traded to the Kings for DeMarcus Cousins and Casspi. Yes, this does influence the Cleveland Cavaliers. How so? Well, according to Keith Smith on Twitter, Evans could potentially be bought out by the Kings. Cavs fans could be ecstatic at the sound of that. Over the course of the last few months, LeBron James pleaded for both the additions of a backup point guard and another playmaker. Cleveland may have found that without even having to give up a valuable asset. Why trade a player like Shumpert if you can use him in case of injury or some other cause? Tyreke Evans is the perfect fit for the Cavaliers. Last season Evans averaged 15.2 points per game and 6.6 assists per game. The 27-year-old out of the University of Memphis has seen several injuries and has only played 26 games this season. While disappointing, he has excelled while healthy. His injury history should not be a reason that the Cavaliers do not take a risk on Evans. He has the ability to create space, create offense, get to the line, and get the whole team involved. Tyreke Evans and this trade could be a huge win for the Cavs. Washington Wizards need to address their second unit and Tyreke Evans, who was recently traded to the Kings, could help them immediately. As the third seed in the Eastern Conference, the Washington Wizards have an outside shot at shocking the Cleveland Cavaliers in the NBA Playoffs. But with a roster as currently constructed, their chances of beating the Cavaliers aren’t high. Acquiring bench help is necessary, but the Wizards should avoid targeting one-dimensional players. Lou Williams, for instance, is a shooter and scorer. That’s it. There are other options and avenues to bolster the bench as well. 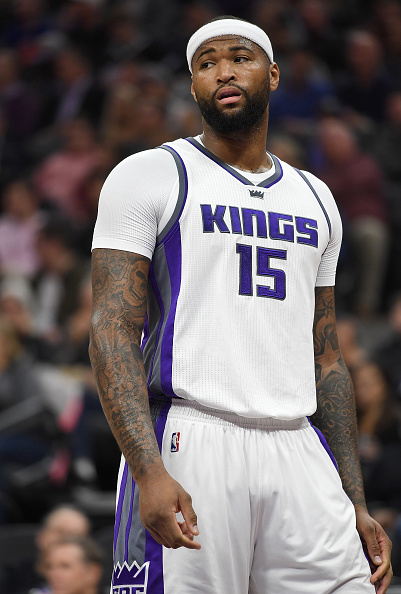 On Sunday night, the New Orleans Pelicans acquired DeMarcus Cousins from the Sacramento Kings for Buddy Hield and a future draft pick. In the aftermath of the trade, multiple intriguing players became available. It surfaced that Terrence Jones is now almost certainly going to be traded and Tyreke Evans is a candidate to be bought out by Sacramento in his second tour of duty there. Evans was included in the trade to make it work financially. Well, as stated above, the Wizards’ bench could use some work. Rotations certainly tighten up in the playoffs, but you still need a solid eight players come May, and with respect to the great Jason Smith (inside joke, those who know, know), the second unit isn’t quite there. I won’t say much about Terrence Jones (Ward wrote about Jones in the past), as he may be a luxury with Markieff Morris playing well with the second unit. But the accumulation of talent and an almost free player who averages 17 and 9 per-36 could not hurt the chances of a team aspiring to be a contender this year. Instead, the focus should be on Evans. Evans can be an extremely effective option off the bench for the Washington Wizards, as a third guard or otherwise. The fourth pick of the 2009 NBA Draft, he has been slowly brought back this season after a round of surgeries on his troublesome right knee. He has appeared in only 26 games and only playing over 30 minutes once or twice (if at all). He has been effective when on the floor though, averaging 18.8 points, 7 assists, 7 rebounds and 2 steals per-36. Evans is definitely a ball dominant player, and despite playing most of his minutes at the three this season, still boasts a 32% usage rate with Anthony Davis and Jrue Holiday off the floor. He is not a great shooter by any means, but he gets to the rim (57% of his shots this season have come within ten feet of the rim) and can distribute. Evans’ assist percentage is 31.5% on the season, which is 14th in the league of all players who have played in more than 10 games, and is higher than well-known names such as Stephen Curry, Reggie Jackson, Goran Dragic, and Kyrie Irving. He’s also a really good rebounder, with nba.com citing his defensive rebounding percentage at an impressive 19.2%. Bringing in Evans does not come without risk. We still aren’t certain that his knee issues are resolved, and there are versatility concerns with that usage and playing him on the floor with Wall and Beal. As mentioned above, he’s not going to be mistaken as a shooter. His defensive rating for the season has literally been the median. Nonetheless, the Wizards need an assertive leader off the bench and depth, and Evans certainly has the ability to check both boxes. At 6’6 and 220 pounds, he can play several positions. Per Basketball Reference, he has played no minutes at point guard this year, but his usage and other stats suggest that he is the primary ballhandler when on the floor. If Evans is bought out, Washington’s front office should do what it can to get a player with this sort of potential this late in the season. Financially, it can get interesting. In the short-term, the financial implications are minimal. This works if Evans is bought out, making him a free agent, and Jones is already playing out the season under a “prove it” minimum salary deal. Either way, both are slated to be unrestricted free agents this offseason. Both Evans and Jones could certainly be NBA starters, but both would be fantastic dominating usage in the second unit as valuable role players there. The logistics of bringing both back long-term is tricky – and possibly infeasible – likely requires dumping Ian Mahinmi and Andrew Nicholson (boo-hoo), flirting with the luxury tax, and several other almost lucky factors. This move would be for right now. 0 Response to "Tyreke Evans Could Easily Be a Cleveland Cavalier"